I call Jackson Heights, Queens, the United Nations because half of the world’s cultures, nationalities, and identities can be found there. And where there are ethnic enclaves, there are markets that cater to those enclaves. This New York neighborhood is home to just about every Central and South American nation you can find on the map, and I’m always going home with some new product I’ve never seen or tried before. 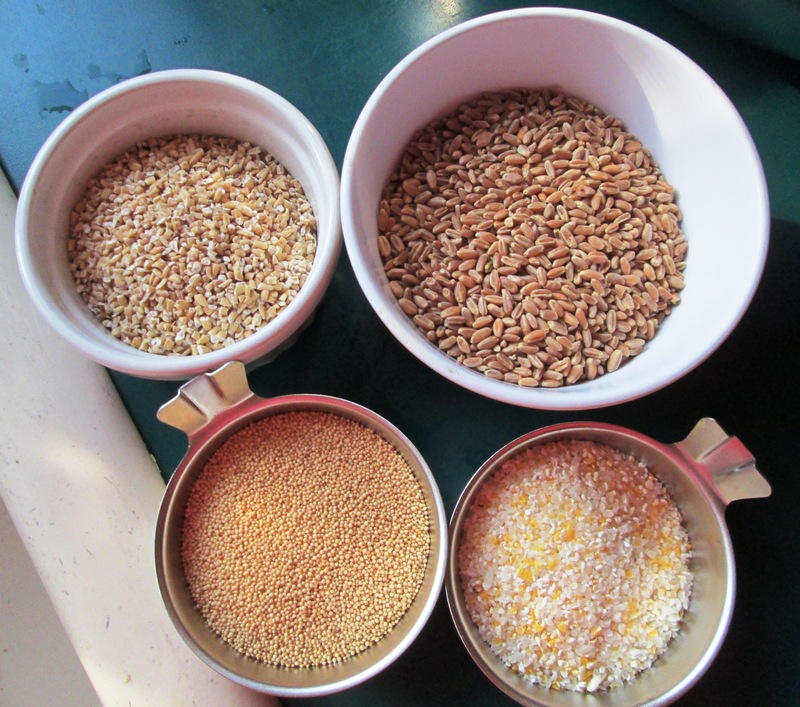 My forays into various ethnic markets have introduced me to many different grains in many different forms, from rice flakes to lotus nut puffs (okay, not technically a grain) to cracked corn. 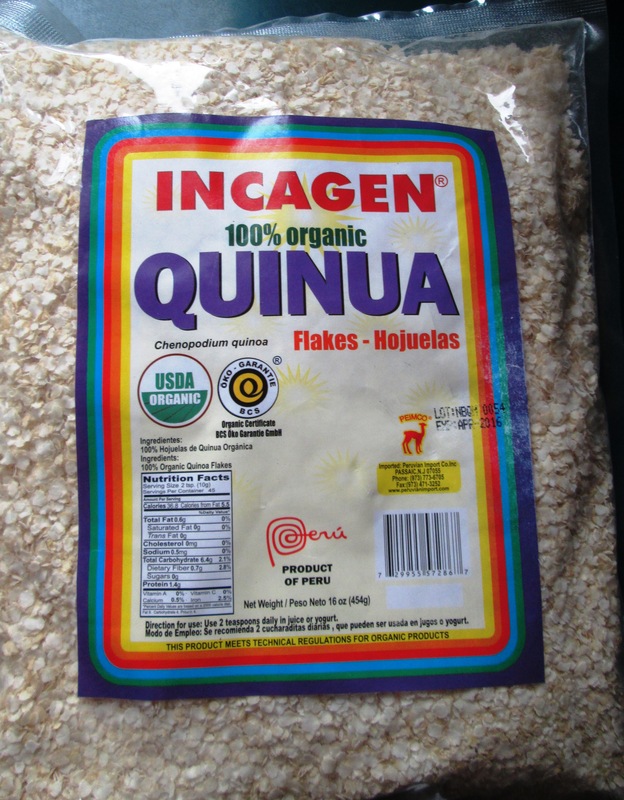 This past week, I found quinoa flakes. 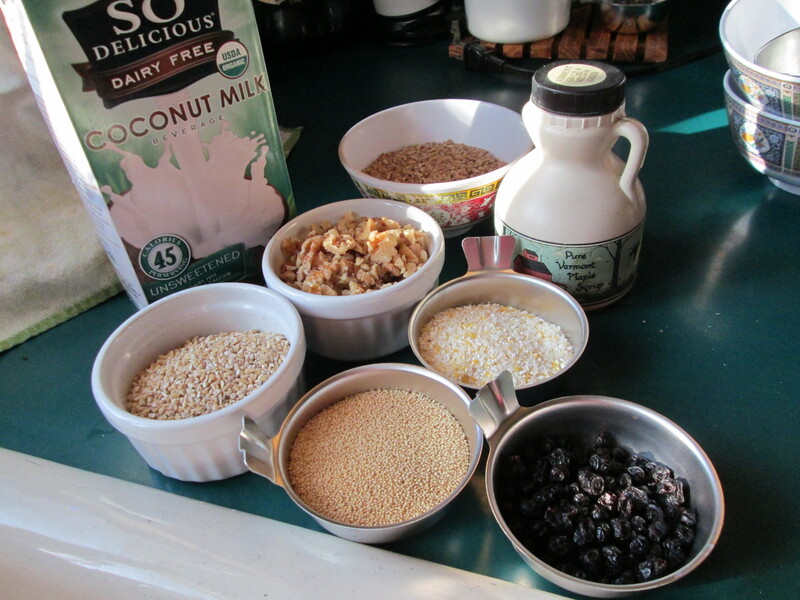 The package recommends putting a couple of tablespoons into a smoothie or yogurt, and I’ve read suggestions to put it in baked goods in place of flour or oats. 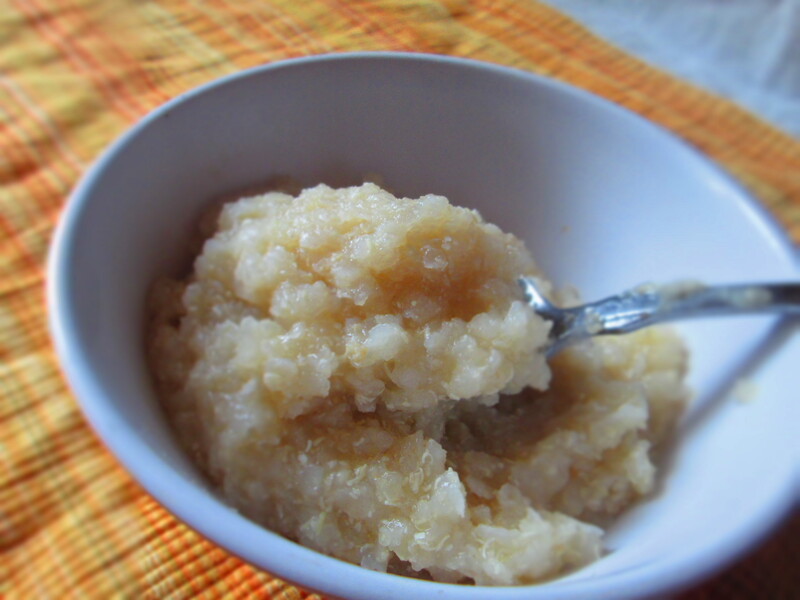 But I figured it would make a good breakfast porridge, too. I cooked a small quantity by itself, just to see what it was like. It tasted like…well…quinoa. It even had the little signature “strings” of cooked quinoa. But I found it to be a bit blah. Kind of like baby food. 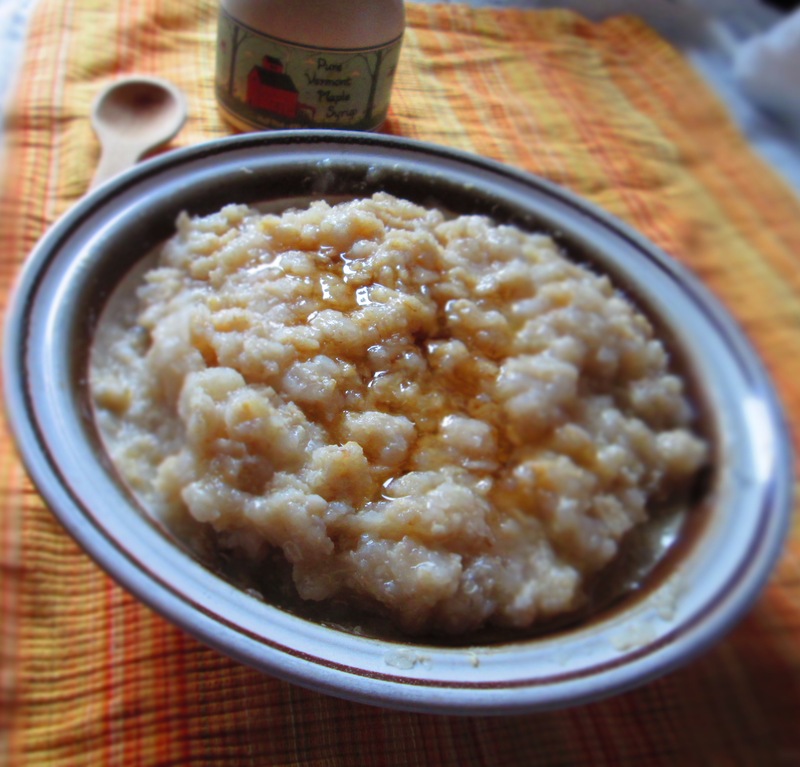 So then I blended it with rolled oats and made a half-and-half porridge. I added some maple syrup to give it some flavor, and topped it off with some chopped pecans for texture. 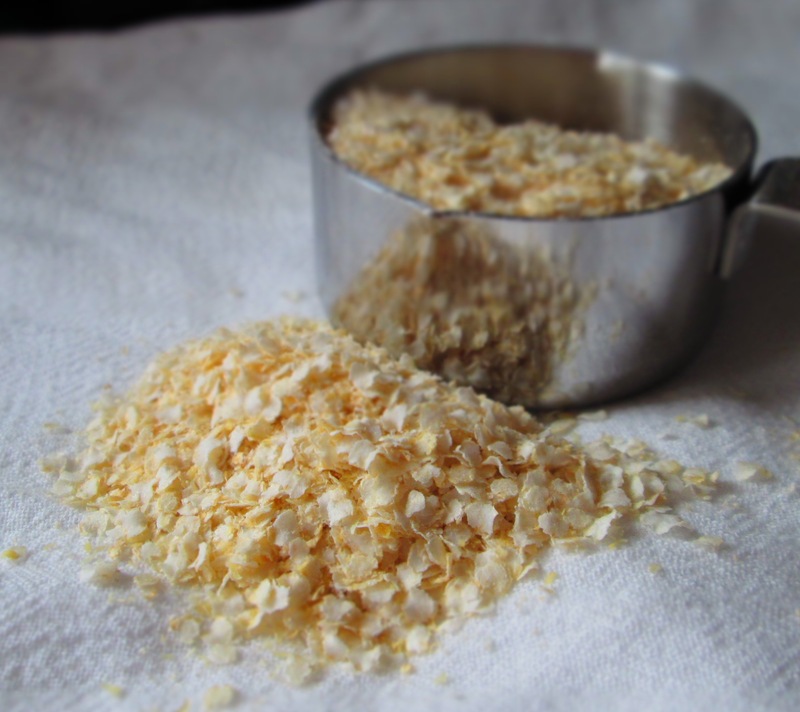 It turned out much lighter than regular oatmeal, but because quinoa has protein, it’s filling nevertheless. And because it’s lighter, I think it would make a great breakfast for someone who is sick or has stomach issues. Bring 2 cups water to a boil in a small pot. 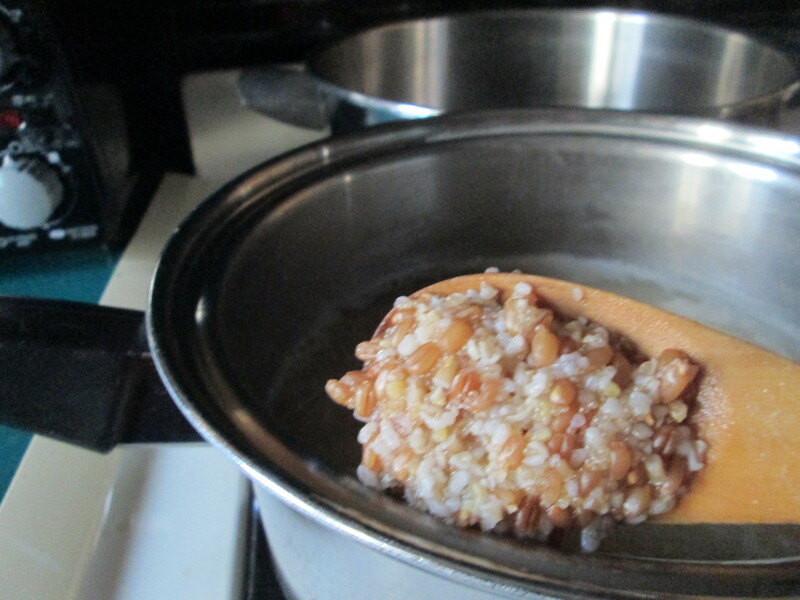 Add quinoa flakes, oat, and salt; lower heat, cover, and simmer 5 minutes, or until desired thickness. You can add more water if you want it looser. Transfer to 2 bowls. Top with whatever toppings you like. 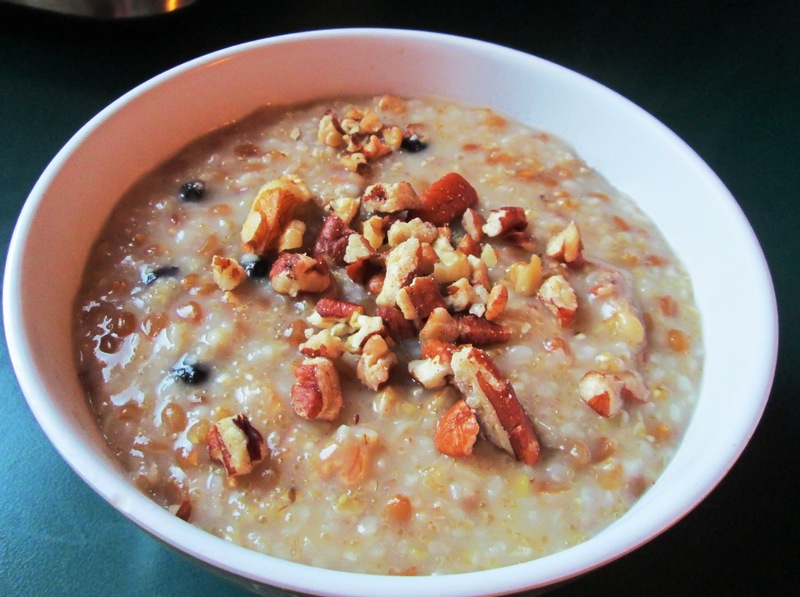 Categories: Breakfast, Ethnic Dishes, Experiments, Gluten-free, Healthy Alternatives, Healthy eating, New-to-me Food, Recipes, Uncategorized, Vegan, Vegetarian | Tags: breakfast, oatmeal, oats, porridge, quinoa | Permalink.